Gov. Matt Bevin (R) made clear Friday he will sign legislation to eliminate Kentucky’s requirement that residents get a permit from the state before carrying a gun concealed for self-defense. 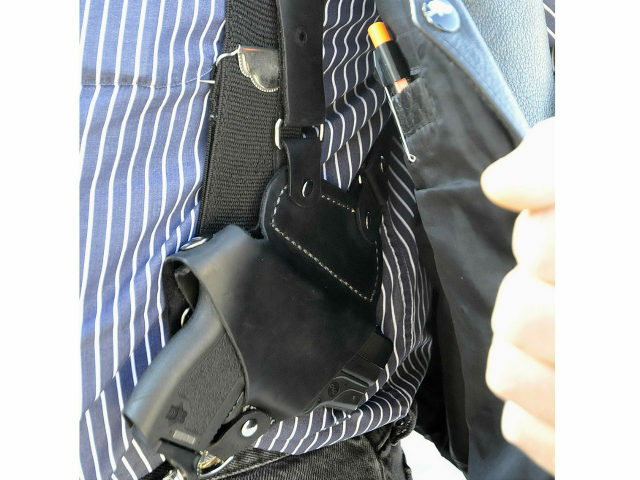 On March 1, 2019, Breitbart News reported that the Kentucky House passed legislation to eliminate the state-level requirement for a permit to carry a concealed handgun. The House passed the legislation by a vote of 60-37 roughly two weeks after the Kentucky Senate passed the legislation by a vote of 29-8. WYMT/AP/WKYT quoted Bevin describing the bill as classic “constitutional carry” legislation. He stressed that the legislation is an affirmation of the Second Amendment right to keep and bear arms. Once Bevin signs the bill, Kentucky will be the sixteenth permitless carry state. The other 15 states are Alaska, Arizona, Arkansas, Idaho, Kansas, Maine, Mississippi, Missouri, New Hampshire, North Dakota, Oklahoma, South Dakota, West Virginia, Wyoming, and Vermont.